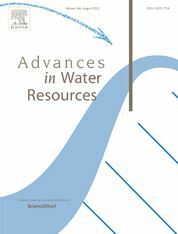 Advances in Water Resources provides a forum for the presentation of fundamental scientific advances in the understanding of water resources systems. The scope of Advances in Water Resources includes any combination of theoretical, computational, and experimental approaches used to advance fundamental understanding of surface or subsurface water resources systems or the interaction of these systems with the atmosphere, geosphere, biosphere, and human societies. Manuscripts involving case studies that do not attempt to reach broader conclusions, research on engineering design, applied hydraulics, or water quality and treatment, as well as applications of existing knowledge that do not advance fundamental understanding of hydrological processes, are not appropriate for Advances in Water Resources. Advances in Water Resources will be also be accepting Letters which are rapid communications providing short reports of significant fundamental research in all fields of hydrology. Contributions submitted as Letters should be not only fundamental and novel but also potentially transformative in impact by providing new observations, theories, or findings deserving of expedited review and publication. If a submission is deemed acceptable for consideration as a Letter contribution by the Editors, it will be reviewed by Editorial Advisory Board members for technical merits, impact, and broadness, with a review response expected to be within 15 days. Authors will be requested to respond to reviews within 10 days. Please see the Guide for Authors for more details.